No juice and no TV make Em something something. Em had a writing assignment in school today. I think she was supposed to write what she did this weekend. Here’s what she wrote. We watched TV all day. My mom asked me if I wanted to do anything, but I said no! to evering. I didn’t move around like everybody should. I fell asleep because I got tired. I stayed at home all day. And now no doubt we look like terrible parents who park our kid in front of the TV all day. But she didn’t fall asleep during the day, she fell asleep at bedtime. And she did say she wanted to do something, she decided to come with me to a Browncoat video shoot on Saturday afternoon. Unfortunately, as she put it, “this was not what I was expecting.” It was significantly more waiting around in a hotel lobby than she could be expected to gracefully put up with, so I took her back home to hang out with her father. She also went with him to get doughnuts on Sunday, and to the toy store and several hardware stores while he struggled in vain to fix our leaky sink. She even got popcorn at one of the stores. Also she did move around. She even had swimming lessons on Saturday morning. I think she was probably just in a bit of a mopey mood when she was writing, so she just wrote what came to her mind about the weekend without reflecting. Oh well. Hopefully the teacher will get to know us this year and we can correct first impressions. As for that sink, the plumber is coming tomorrow afternoon to fix it, since it has moved from “slight leak” to “mostly disassembled.” It happens. When the pipes are 40+ years old, they break. No blame to my husband, it’s just time to bring in a professional. 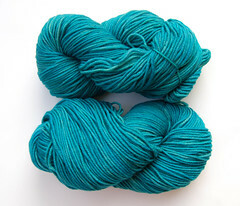 This is two skeins of Cascade 220 superwash dyed in my dyepot Big Tina. 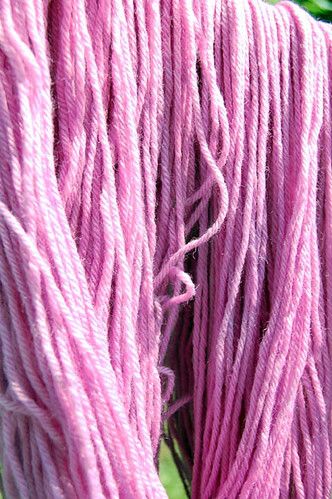 Doing these right after the rose-colored skein of non-superwash Cascade 220 taught me more about the difference in uptake in superwash and conventional wool and how the addition of acid early in the process affects strike time. I was going for green with striations that were variations in shade but not entirely different colors. When it first came out I thought the saturation wasn’t strong enough, so I gave it another bath in a light sky blue. It turned out a little bluer than I was anticipating (although the picture makes it look bluer than life), but I’m very pleased with the result. I’m all about the blue. I have a pattern in mind for this, assuming I can clear the decks of Jayne work. I learn a little more each time I dye. 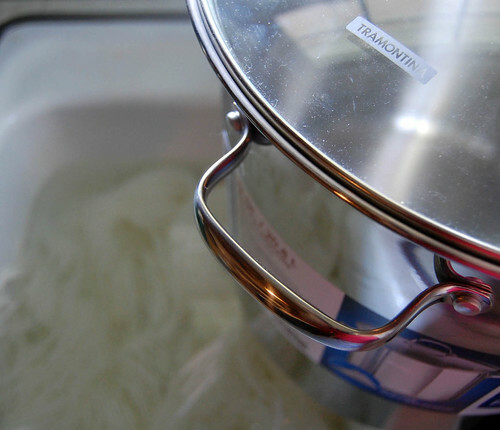 Perhaps it’s time to start buying in bulk and increase the frequency of my dyeing. 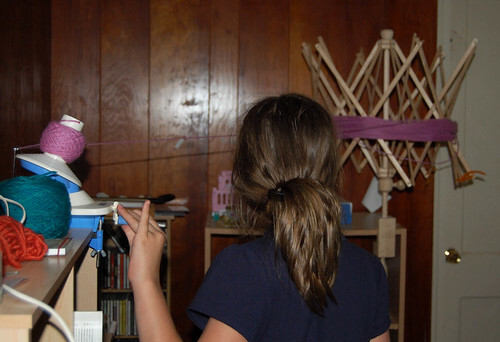 If I do that, I’ll probably have to start selling, though – I can’t use all the yarn I’ve got, I can’t clutter up the house with more. 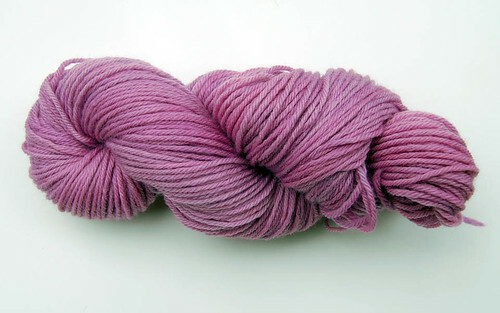 Big Tina will easily hold sweater quantities or permit me to do larger dye lots at once. I’m not where I want to be yet, but learning is a process that never ends. I’m feeling like what I can make beautiful yarn while I improve. 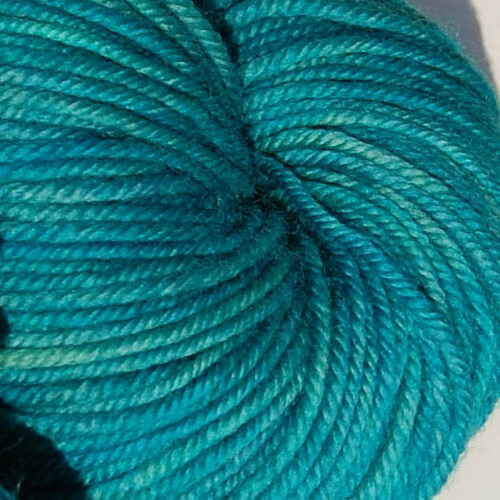 Maybe it is time to release a few skeins into the wild. For now though, it’s back to knitting Jayne hats. Em winds off a ball of my handdyed yarn. The upturned pinky just slays me. 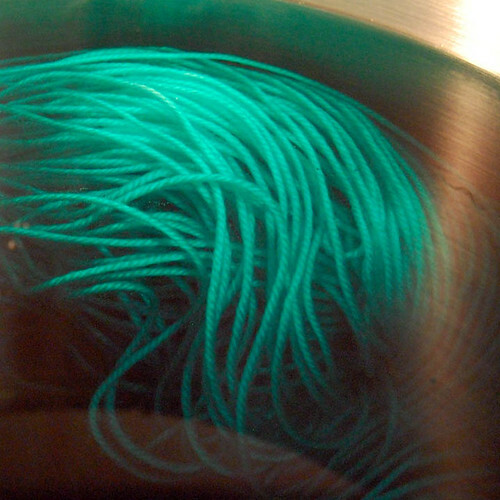 Emerald with a little sky blue, poured in after the yarn was settled. 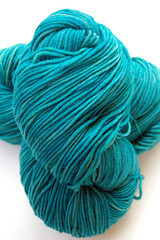 That dye was uptaken, the yarn stirred, then added sky blue with a little emerald. 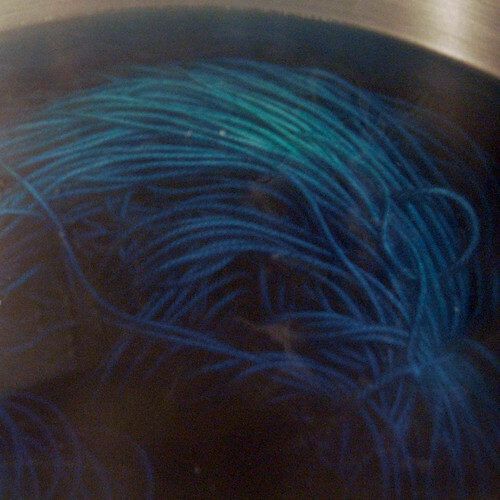 I went out to the store and when I came home the dyepot had gotten hotter than I intended, and the house smelled like a boiled sheep. Thank heavens the yarn was superwash. My husband (rightly) didn’t touch it since he didn’t know exactly what was supposed to happen. I’m very curious to see how this all turns out. I’m still around, but until school starts my time is still limited. Once school starts, though, I will go into a frenzy of Jayne hat and posting mania! Side note: now I want ice cream. …some days the pelican gets you. Isn’t there some kind of saying about curiosity and cats? Hm.